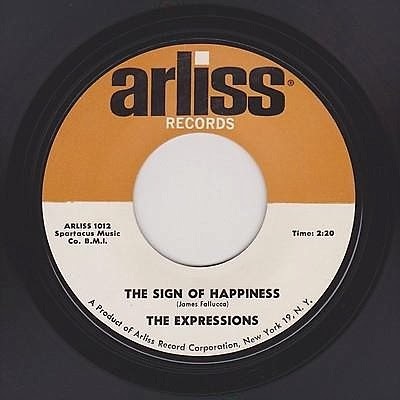 THE EXPRESSIONS from Staten Island in New York. Left to Right;Jim Fallucca,Johnny Zappula,Carl Buntz,Steven Matera and Anthony Moscato. 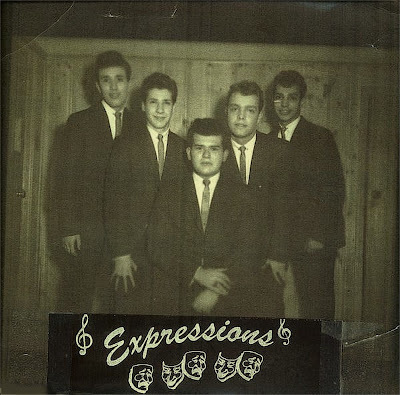 The Expressions were formed in 1960 by Jimmy Fallucca, whose cousin Vito Picone & The Elegants, put Staten Island on the map when his group recorded "Little Star". After attending rehearsals for the group, he was hooked on doo wop. They sang on street corners and church functions. The group disbanded after a few years as the guys pursued their careers. In 1961 recorded two songs written by Jim Fallucca for Arliss Records_My Love,My Love/The Sign Of Happiness.